Native to Europe, this perennial is now found all over that continent, as well as North America and northern Asia. It grows to about six feet in height, producing toothed leaves and clusters of creamy yellow flowers. The leaves have a very different smell from the flowers, which is a pleasant, almond-like fragrance. The plant prefers such damp places as ditches and the banks of streams and rivers. Leaves and flowering tops are harvested in the summer when the flowers open. Anti-inflammatory chemicals, called salicylates, were first extracted from the plant in the 1830s. Sixty years later, a pharmaceutical company called Bayer, produced acetylsalicylate artificially, and called it "aspirin." It was a common herb used for "strewing" in medieval times simply to "delight the senses." During the Middle Ages, it was known as "meadwort" because it was used to flavour mead. The Meskwaki used it to treat a variety of heart problems, which is now believed to be the result of its salicylic acid component. Infusions are used to treat feverish colds or rheumatic pains and to soothe children's stomach upsets. Tinctures are combined with such herbs as licorice for gastric ulceration or excessive acidity, or angelica or willow for arthritis. Compresses are soaked in a diluted tincture solution and applied to painful arthritic or rheumatic joints or for neuralgia. Eyewashes, from cooled and strained infusions, are used for conjunctivitis and other eye complaints. Meadowsweet protects the digestive tract and modifies the action of salicylic acid. Longterm use of aspirin can lead to gastric ulceration and bleeding, but meadowsweet does not have these side effects. Rather, it is a gentle digestive remedy, helping to reduce acidity and has the ability to reduce acid levels throughout the body as shown by its effect on arthritic and rheumatic pain, which is not relieved solely from its anti-inflammatory action. This herb illustrates quite well the fact that herbal medicines cannot be understood simply by considering their isolated active constituents. The herb is also able to relieve some types of diarrhea. Meadowsweet reduces inflammations and occasionally is used for the treatment of cystitis. 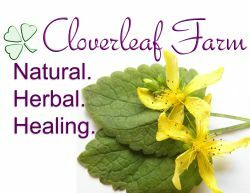 When combined with other herbs, it is also used for irritable bowel syndrome.